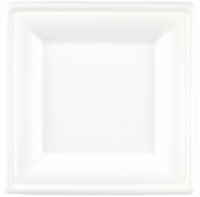 26cm Square Bagasse Plates. 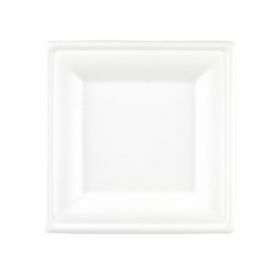 Plates are Disposable, Compostable & Biodegradable, manufactured from 100% sugarcane fibre. Suitable for hot, wet and oily foods.